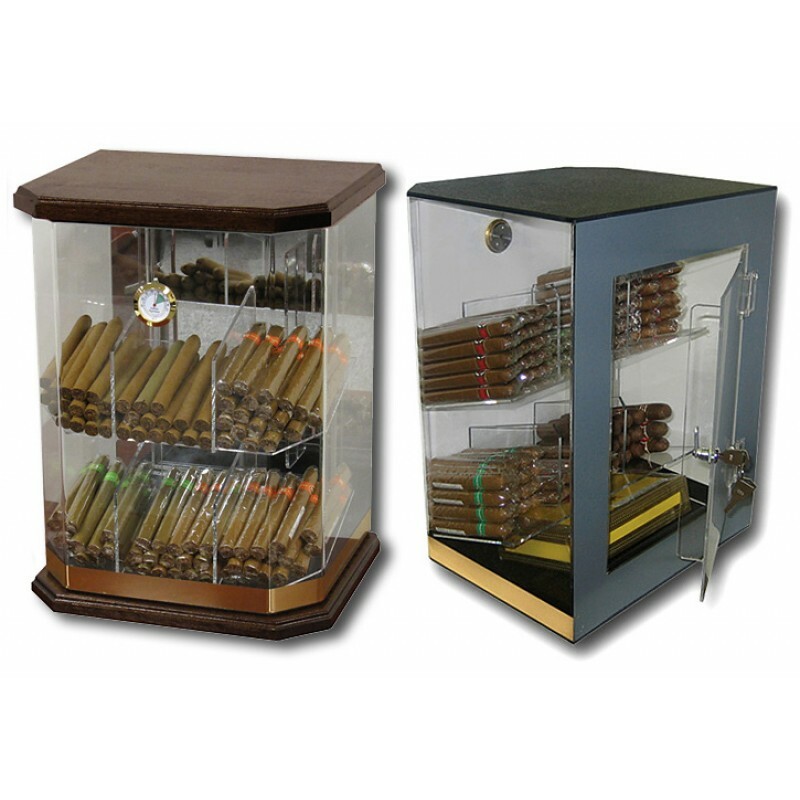 The Verona wood and acrylic humidor is an exceptional countertop display for cigar point of sale setups. 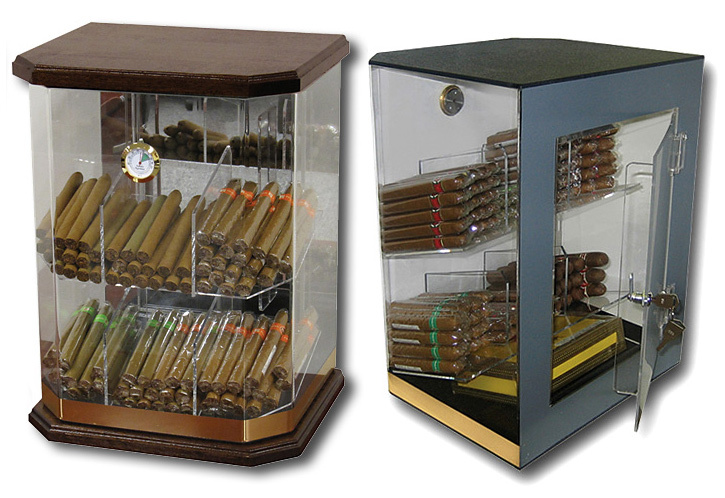 Cigars can easily be set up as a showcase and can be viewed through this unit's acrylic plexiglas. For additional visual presentation the Verona's interior rear mirror adds to your cigar presentation. The acrylic structure used in the Verona is crafted using a cell cast method which helps make the acrylic material more impact resistant and is a preferred alternative to glass. The Verona provides its user with 2 angled shelves each equipped with 3 fixed dividers creating a total of 6 storage sections. Features a built-in external brass hygrometer, humidifier and a rear access door with a lock and key. This particular Verona features a walnut wood top and base to create a richer look with a handsome contrast. The light weight design and transparent characteristics make this acrylic display cigar humidor fantastic choice at an unbelievable price. Nice and affordable Display piece. No problems in 4 months of having it.